Welcome to the Five Villages Chronicle. 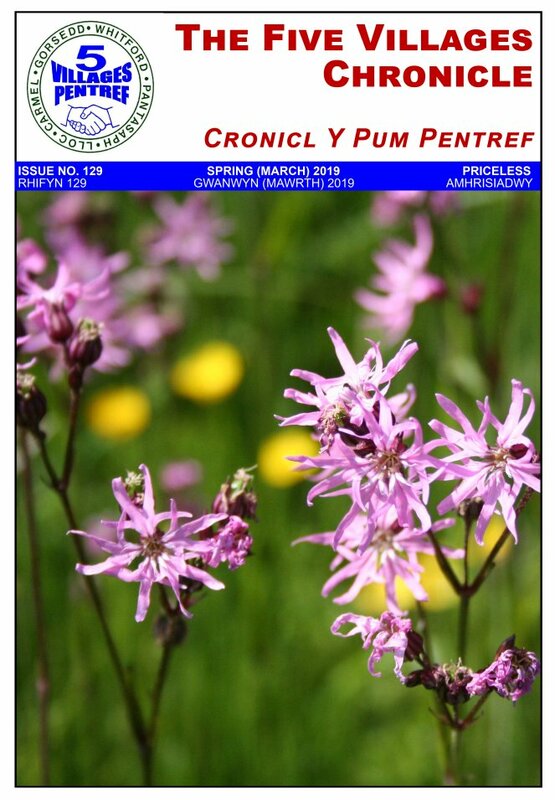 The latest issue, Spring (March) 2019, has now been delivered to the residents of the Five Villages by our dedicated team of volunteers. Copies will also be available for reading in Holywell Library and in some pubs and cafés within the Five Villages area. Please do not remove these copies but leave them for others to enjoy. This issue will be downloadable (see below) once the paper has been distributed. It is a zip file so save it and then double click to open it. As it is in PDF format we suggest Foxit Reader or Adobe Reader (both free) to view it. All content is copyright and so you will not be able to print or copy from these files. If you would like to do this then please email the editor. If you manage a local business and would like to advertise in the Five Villages Chronicle, please email advertising@5villages.org.uk with your requirements. We publish four times a year, usually March, June, September and December. The deadline for submission of articles, letters, and advertising for inclusion in the next issue is 24th May 2019.